25 East Kendig Street Waterloo, NY. | MLS# R1181459 | Largest Real Estate Sales and Property Management Company in The Finger Lakes and WNY. 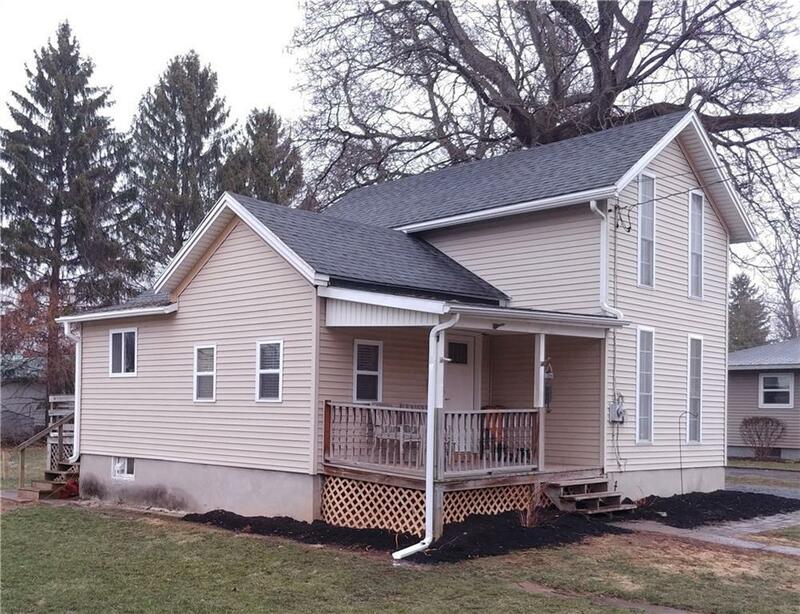 This beautifully remodeled home is located on a quiet dead end street with views on the Seneca Canal. Offering fresh paint and flooring throughout. Newer kitchen with stainless steel appliances and recess lighting. Dining room and kitchen are divided by a breakfast bar with pine ceilings to give a nice country touch. The master bedroom is located upstairs where it has it's own private bathroom. This home is equipped with brand new Central Air and a long list of recent updates. Back yard has an above ground pool and plenty of yard to entertain AND large shed for extra storage. Call today to schedule a showing! Directions To Property: Washington Street To East Kendig. Sign On Premises.